100% Grown and Produced in Colombia! Our Guadua Bamboo Veneer is developed and manufactured in Colombia from CVC certified Guadua angustifolia plantations. These high quality veneers are sliced from pressed laminated bamboo panels and backed with a cellulose layer. Veneering is an art dating back to the ancient Egyptians and refers to a thin slice of wood (usually thinner than 3 mm) that is typically glued to a base of an inferior material such as particle board, chipboard, multiplex or MDF. This technique is often used on surfaces of cabinets, doors, panels, parquet floors, furniture, dashboards, etc. Our Guadua Veneer is obtained by slicing large rectangular blocks of laminated bamboo slats. The bamboo laminated block is raised and lowered against a sharp blade of a slicing machine as seen on the image. The appearance and pattern of the grain comes from slicing either vertically or horizontally pressed laminated bamboo panels (also called side or plain pressed). To avoid cracks during handling, our Best Bamboo Veneer is backed with a thin, but strong cellulose fleece, bonded with a water-resistant PVA glue. 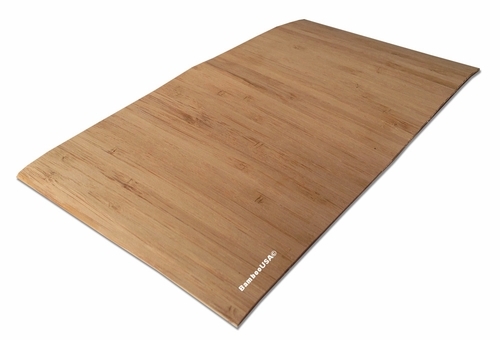 The cellulose lining enables easy pressing of the bamboo veneer sheets on a flat or even curved surface. The standard thickness of our bamboo veneer is 0.6 mm (0.5 mm bamboo and 0.1 mm backing material), but we can produce veneers up to 2 mm thick. Bamboo is a rapidly growing and renewable resource. Bamboo is harvested annually without the need of re-planting. Bamboo is strong and durable. Guadua Bamboo is known to be stronger than steel. Bamboo is beautiful. The typical bamboo grain and nodes with slight color variations give any project a subtle, unique and modern look. Furniture made with Guadua Bamboo Veneer uses less wood than the same piece of furniture made with solid wood. Some projects built using bamboo veneer would not be possible to construct using solid lumber, owing to expansion and contraction caused by fluctuation of temperature and humidity. Guadua Bamboo Veneer is sustainable. Using veneer extends the use of a piece of timber. The wood that might be used in one solid piece a few visible cm wide can cover a far greater area when used as a veneer. Guadua Bamboo Veneer serves for multiple applications in the building and interior design industry. Veneer stores carbon and therefore maximizes the use of harvested bamboo. 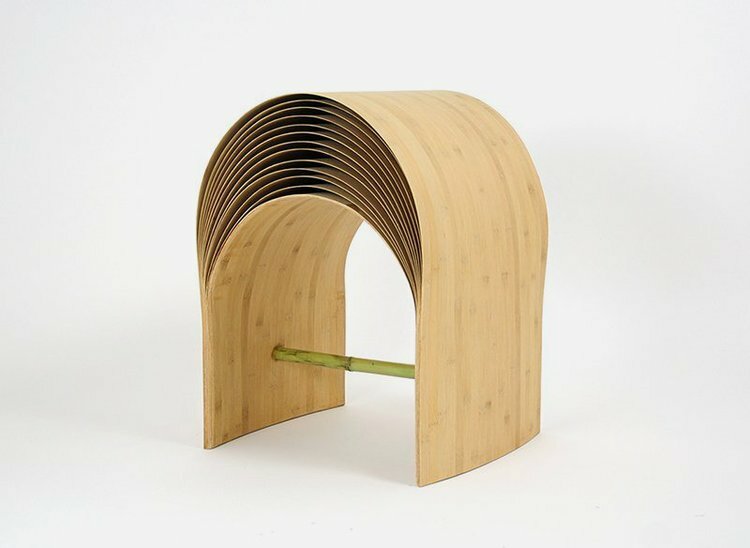 Manufacturing bamboo veneer produces 0% waste. Saw dust is used to power our plant.